Would it be possible in any way to merge character name tags for the same character appearing by different names? I noticed when browsing Adventurers sets that some sets have the "Dr Kilroy" or "Pippin Reed" tags and others have the "Dr Charles Lightning" and "Miss Gail Storm" tags, even sets from the same years — despite these being unmistakably the same two characters. It seems like it would make the most sense to have one "Dr Charles Lightning/Dr Kilroy" tag and one "Miss Gail Storm/Pippin Reed" tag for sets that contain either of these characters. I can't think of any other themes where this is an issue, since Adventurers is one of the few that had to make the awkward leap from minifigure names varying between regions to names being standardized across all regions. Hopefully it's an easy fix! I think I’ve seen similar with some of the Superheroes sets where the same character is defined differently by being in different alter ego - the only example I can think of off the top of my head is Hulk/Bruce Banner. In that example I can see the argument for having them as separate characters but personally I’d list them as the same. Hey, wanted to post here in part as a reminder that this issue has not been dealt with. However, there's another character name tagging issue I've been running into more and more: the inability to make "normal" tags that are the same as minifigure character names. Under a lot of circumstances, you wouldn't need to do this, and I can certainly see the point of not allowing people to make tags that would wind up being redundant. But the issue is that a lot of character names are useful for describing non-minifigure set contents. This means that tags off-limits for casual set tagging include such potentially useful examples as "Orca", "Vet", "Cheetah", "Alien", "Beetle", "Falcon", "Ghost" (this one is especially egregious as it's already widely used as a set tag but can no longer be added to any more sets), "Phoenix", "Rhino", "Genie", "Scarecrow", "Villager", "Witch", "Skeleton", "Eraser", "Zombie", "Beast", "Stove", "Wardrobe", "Monster", "White Tiger", "Mini Robot", "Santa Claus" (surprisingly necessary considering how many holiday sets feature brick-built Santas), "Lumia" (an Elves character who appears in brick-built animal forms in two sets), "Noctura" (same but in one set), "Bomb", or "Bumblebee". "Rhino" and "Hippo" I was able to get around by using "Rhinoceros", "Hippopotamus", and "Veterinary", which are probably better choices for tagging non-minifigure subjects anyhow… but a lot of the others don't have obvious alternatives besides awkward ones. Also, while I respect BrickLink's decision to catalogue Cars 3 characters from the Juniors and Duplo sets as minifigures (as uncharacteristic as it may be for them to treat any brick-built characters that complex in such a way), so far they don't appear to be doing the same for those characters in Cars or Cars 2 sets. Previously, we'd been using normal (non-character) tags to identify brick-built characters who appeared in more than one set, but now because it's become a character name tag, it's impossible to add a Luigi tag to #5818. The name of https://brickset.com/minifigs/njo456/ and https://brickset.com/minifigs/njo450/ should be changed to "Sensei Wu", given their identity. For that matter, it might be better to change the name of ALL versions of that character to just "Wu", because LEGO replaced the term "Sensei" with "Master" in sets and print material from 2015 onward for cultural sensitivity reasons, and also because it's unclear whether his younger or evil counterparts could be appropriately described as either (same as how all the "Garmadon" minifigures go by "Garmadon" regardless of titles such as Lord, Sensei, or Master assigned to specific incarnations). Similarly, perhaps the name of https://brickset.com/minifigs/name-Sensei-Yang should be changed to "Master Yang" or just "Yang". The name of https://brickset.com/minifigs/njo164/ should be changed to "Postman" — don't know why he's currently sharing the name of a random ghost. 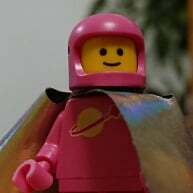 The name of https://brickset.com/minifigs/njo462/ should maybe be changed to Faith? Her name on the box is Heavy Metal, but Faith is her actual name. Currently many minifigs of Jay from Ninjago have the character name https://brickset.com/minifigs/name-Jay-Walker and many others use the name https://brickset.com/minifigs/name-Jay. There's no need for this as his name is the same in both TV and movie appearances, and his last name is used in just one TV-based set and one movie-based set. Nya from Ninjago uses the same character name tag whether she's in her Samurai X persona or not, which I think is a fair decision. Should the same apply to the character currently using the name https://brickset.com/minifigs/name-Samurai-X (who's previously been assigned the character name https://brickset.com/minifigs/name-P-I-X-A-L)? For consistency's sake, the character name tag of https://brickset.com/minifigs/elf021/ should be updated to include her full name, "Ragana Shadowflame"
I'm not sure there's only one https://brickset.com/minifigs/name-Lance-Bot or many, but in the show at least one Lance Bot is identified as Dennis, Lance's personal butler. Hence, https://brickset.com/minifigs/nex143/ is the same character. But to be honest I have no idea if they should use the same character name tag. https://brickset.com/minifigs/name-Baby-Zombie is a separate character name from https://brickset.com/minifigs/name-Baby-Zombie-Pigman, but for some reason https://brickset.com/minifigs/min021/ and https://brickset.com/minifigs/min050/ both share the character name https://brickset.com/minifigs/name-Zombie? @Huw, do you think you or somebody else could try and begin working on some of these things? @CapnRex101 deals with minifig character names so I'll ask him to attend to these where appropriate. Thanks @Aanchir, I have updated the minifigure tags where necessary. Also… it feels strange to request any character names to be REMOVED from the database, but if possible I feel like this should be done for all the Scala characters, by virtue of the fact that most of the time, the names assigned to those dolls on BrickLink only represent one of several characters that doll is used to represent (depending on how they are dressed up and how their hair is styled in each individual set). As I was going through Scala sets, I couldn't help but notice the "Andrea" tag on sets with names like "Ashley's Miniature Garden" and "Julie's Picnic Lunch", the "Olivia" and "Thomas" tags on the set "Auntie Jane and Cousin Sophie", the "Caroline" tag on a set called "Ashley" (literally the ONLY set with this character name tagged), the "Emma" tag on a set called "Ashley's Snack Time" (man, poor Ashley can't catch a break, she keeps getting called by the wrong name), etc. Never mind that most of these character names are shared by LEGO Friends characters, and that I'm not entirely sure whether the Scala character names were even the same internationally or whether they varied wildly by region the way Adventurers and Insectoids names did. https://brickset.com/minifigs/sw386/darth-vader-(black-head) is incorrectly listed with the name "Darth Maul" rather than "Darth Vader". https://brickset.com/minifigs/njo156/ghost-warrior-cowler-(scabbard) is randomly listed with the name "Scabbard" (his neck accessory) rather than "Cowler". https://brickset.com/minifigs/njo500/stone-army-scout-(legacy) is listed with the name "Stone Army Scout" while other Stone Army figures are all labeled as "Stone Scout", "Stone Swordsman", or "Stone Warrior". In this case, I think it would be better to update the others to "Stone Army Scout", "Stone Army Swordsman", and "Stone Army Warrior", since that's how they're more frequently named in more recent sets as well as the Updated and Expanded edition of the LEGO Ninjago Character Encyclopedia. Recent Pirates of the Caribbean characters https://brickset.com/minifigs/poc036/henry and https://brickset.com/minifigs/poc037/carina should have their character names updated to their full names, "Henry Turner" and "Carina Smyth". While we're at it, why not do the same for the character name tags on Scooby-Doo characters? https://brickset.com/minifigs/name-Shaggy, https://brickset.com/minifigs/name-Velma, https://brickset.com/minifigs/name-Fred, and https://brickset.com/minifigs/name-Daphne could easily be updated to their full names "Shaggy Rogers", "Velma Dinkley", "Fred Jones", and "Daphne Blake", thereby fixing the issue of the "Fred" tag containing both Scooby-Doo and Nexo Knights characters. And likewise, for Jurassic World characters: https://brickset.com/minifigs/jw002/gray and https://brickset.com/minifigs/jw014/zach could be tagged as "Gray Mitchell" and "Zach Mitchell". Will let you know if I think of more! ^In my opinion, having a "Fred Jones" tag in addition to the "Fred" would be preferable to losing the "Fred" tag, so that people who don't remember his last name can still find the figure. Ditto for any other characters. The tag doesn't matter too much when searching. A search for Fred still finds "Fred Finley", for example, as well as many other Freds (and Alfreds).